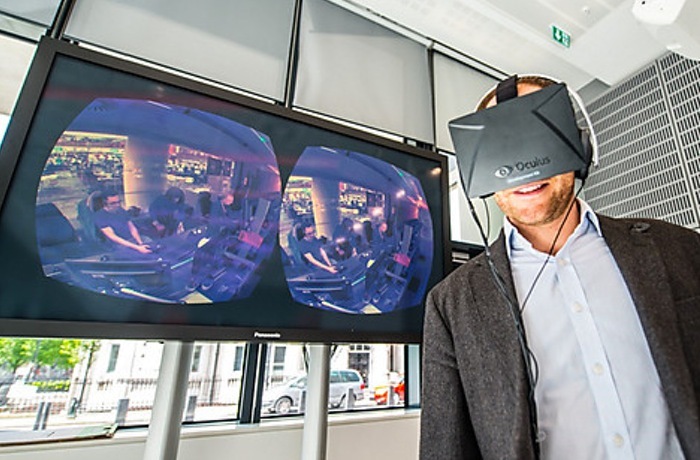 The BBC has today unveiled a new experimental virtual reality news broadcast they have created which uses the awesome Oculus Rift headset, that was recently purchased by Facebook for a cool $2 billion. The BBC experiment uses a 360 degree camera set up, that was used to film the BBC newsroom, live editing gallery and Fiona Bruce in the studio all at once. “Imagine if you could watch a nature documentary and feel as if you could reach out and touch the animals, or feel as if you were on stage with a band during a music festival or on the pitch during a football match. If you are one of the lucky ones and already own an Oculus Rift developer kit, you can download the experience yourself on MAC or PC. For more information on the new BBC virtual reality experiment jump over to the BBC Blog website for details.